The McQueary Clan: Happy Birthday Rowan! Rowan turned 5 years old on Monday!!!!! 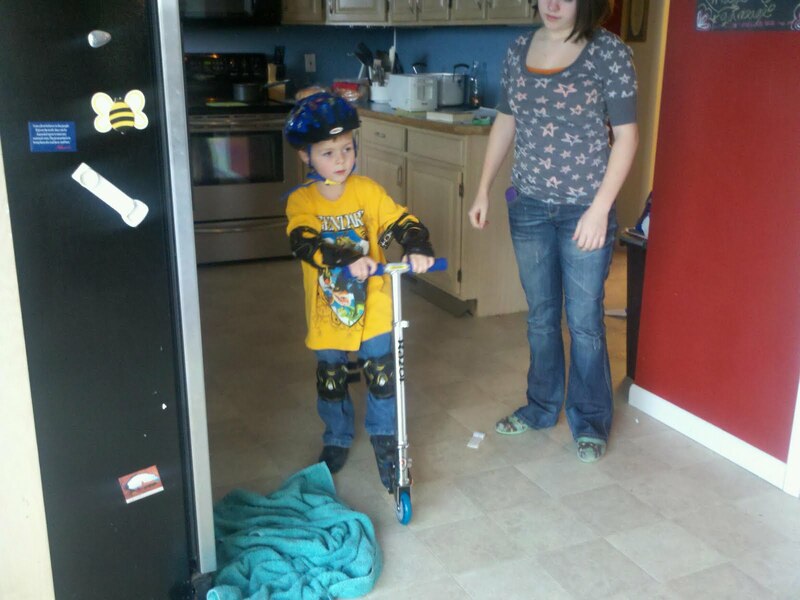 We bought him his first scooter and of course knee pads, as well as elbow and wrist pads! He also got knex roller coaster kit. I can't believe he is already 5.